Russia’s Eduard Nikolaev of the KAMAZ-Master truck team claimed his second Dakar rally title on Saturday, with his compatriot Sergey Karyakin winning the world’s largest rally raid in the quad competition. Nikolaev completed the final stage between Rio Cuarto and Buenos Aires, Argentina, with a 19-minute lead over his nearest rival to repeat his Dakar success of 2013. Second place was taken by another Russian KAMAZ-Master driver, Dmitry Sotnikov, who left defending champion Gerard de Rooy of the Netherlands and his Iveco in the third spot. 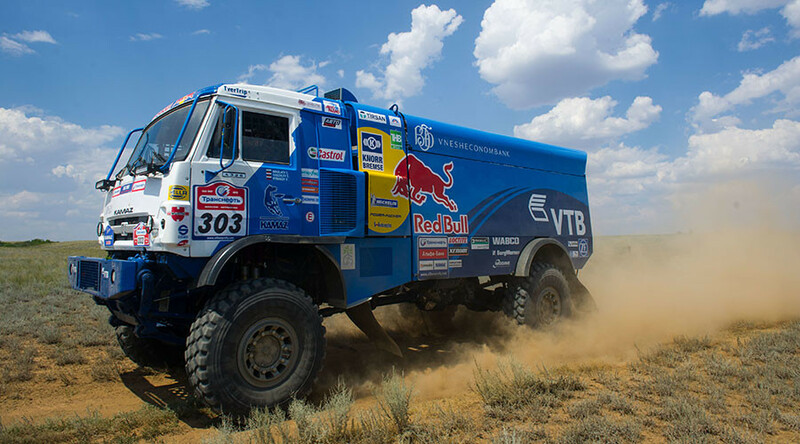 The Russians remain a dominant force in the Dakar’s truck category, with Kamaz bringing home 14 titles since 1996. In the quad category, another Russian, 25-year-old Sergey Karyakin, who has been participating in the rally raid since 2014, left his opponents in the dust behind the wheel of a Raptor 700 Yamaha, leading second-placed Ignacio Casale of Chile by over 1 hour and 46 minutes at the finish of the last stage to take his first Dakar title. In the cars category, the French Peugeot team claimed all three spots on the podium, with ‘Mr Dakar’ Stephane Peterhansel winning his 13th career title. Peterhansel beat World Rally Championship (WRC) legend Sebastien Loeb by over 5 minutes, with Cyril Despres coming in third. Sam Sunderland became the first Brit ever to win the Dakar rally as he triumphed in the bikes category. The KTM man left teammates Matthias Walkner of Austria and Spain’s Gerard Farres behind as they finished second and third, respectively. The Dakar 2017 rally was once again organized in South America this year, with stages held in Paraguay, Argentina, and Bolivia.